Cohen to present new evidence of alleged Trump "criminal conduct"
President Trump's former attorney Michael Cohen is expected to present evidence of alleged "criminal conduct" by Trump during his time as president to the House Oversight Committee on Wednesday that was "stumbled across ... within the last 48 hours," a source familiar with Cohen's testimony told Axios. 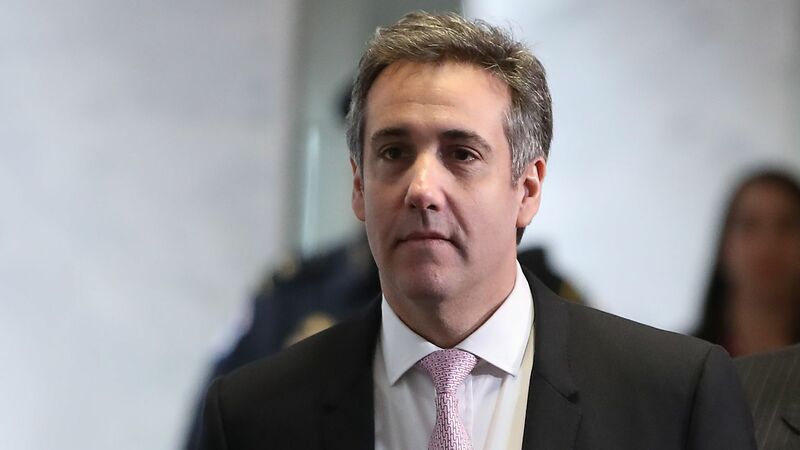 The big picture: Cohen is set to accuse Trump of criminal misconduct linked to reimbursements Cohen received in 2017 for hush money payments made to Stormy Daniels regarding her alleged affair with Trump toward the end of the 2016 campaign, as first reported by the Wall Street Journal. The source said Cohen will describe "in granular detail" the scheme to pay off Daniels, which Cohen is set to say was orchestrated by Trump. The state of play: Cohen and his legal team are expected to provide the committee with a slide containing several of Trump's private financial statements, which they claim reveals how Trump inflated his assets for business and personal reasons. The source said the statements — which were not provided to Axios — will show Trump's assets, liabilities and net worth, but cannot be independently verified without Trump's tax returns. Cohen will also explain how long Trump remained involved in discussions regarding a plan to build a Trump Tower in Moscow. He's also expected to detail the conversations he had with Trump about the project. His prior false statements about the project to the Senate Intelligence Committee are the source of his guilty plea in the Mueller investigation. If asked about the bombshell BuzzFeed News article — later disputed by special counsel Robert Mueller's office — that alleged Trump directed Cohen to lie about the extent of the Moscow project, the source said Cohen will explain that Trump never speaks in direct language: "It's always code words." Lanny Davis, Cohen's attorney, declined to discuss details about Cohen’s testimony. The other side: In a statement, White House press secretary Sarah Sanders said it's "pathetic" Cohen is being given an opportunity to testify. "Disgraced felon Michael Cohen is going to prison for lying to Congress and making other false statements. Sadly, he will go before Congress this week and we can expect more of the same. It's laughable that anyone would take a convicted liar like Cohen at his word, and pathetic to see him given yet another opportunity to spread his lies."